Our firm specializes in comprehensive, holistic financial planning for every stage of life. Whether you’re just starting out in your career, growing your family, or planning your exit strategy into retirement, our advisors have the expertise and skill to seamlessly integrate every aspect of your financial life and organize it in a meaningful way. What matters most to you when choosing the RIGHT advisor to manage your investments? Many of our clients have gravitated towards our Registered Investment Advisory because they trust that as fiduciaries we always have their best interests in mind; operate with transparency; provide unbiased advice; and adhere to a strict code of ethics. Rather than trying to force any one particular company’s products to meet the varying needs of all of our clients, our insurance brokerage searches a multitude of insurance companies to identify which, out of all of the products available on the market, is the best suited to meet your specific need, based on your unique situation. myMoneyGuide is a 90-minute online guided planning platform in which our clients build their own personalized plan for retirement. Our team will help you build and navigate this easy-to-use online resource, after which you can request our help to review, refine and implement your plan. Take a moment to watch the video below to learn more about the features of MyMoneyGuide. If you are interested in learning more about this client-only platform, send an email to info@atfinancial.com. This video has been produced by our industry partner MoneyGuidePro and is for informational purposes only and is not intended to be a solicitation, offering, or recommendation of any security. @financial Investments is a Registered Investment Advisory (RIA) and is a sister company to both @financial and @properties, both based in Chicago. As an RIA, @financial Investments has a fiduciary duty to always act in your best interests, and is compensated by working with you to guide and direct the management of your overall investment portfolio and financial plan, rather than earning commission on the sale of securities. As an RIA who has partnered with TD Ameritrade Institutional and Morningstar, we have the capability to not only offer any Stock, Bond, Mutual Fund, or Exchange-Traded Fund currently traded - we also have the analytic tools to help you to identify which, of the many suitable products, may actually be the best for your specific goals and objectives. this is a legitimate business model, we feel that this type of relationship creates too much of a disincentive for these types of firms to adequately and consistently work toward their clients’ best interests. LONGEVITY RISK: What if you simply outlive your money? TIMING RISK: What if the market takes a nose dive a year or two before or after you retire? WITHDRAWAL RATE RISK: From your investments, what percentage can you safely withdraw each year? MARKET RISK: How can you possibly predict when the market will go up or down? Sam McElroy, PsyD, NSSA, a partner at @financial and @financial investments, was featured recently on Business First AM with Angela Miles, a nationally syndicated program produced at the Chicago Board Options Exchange (CBOE). As part of her popular segment Investing 101, Angela poses the question, "is there a magic number for when one should retire?" Sam discusses tips and tricks to make the most out of saving for retirement. When investors work with many well-known investment companies they are not only charged a commission on the purchase of the securities - they are also charged a management fee for overseeing their portfolio. 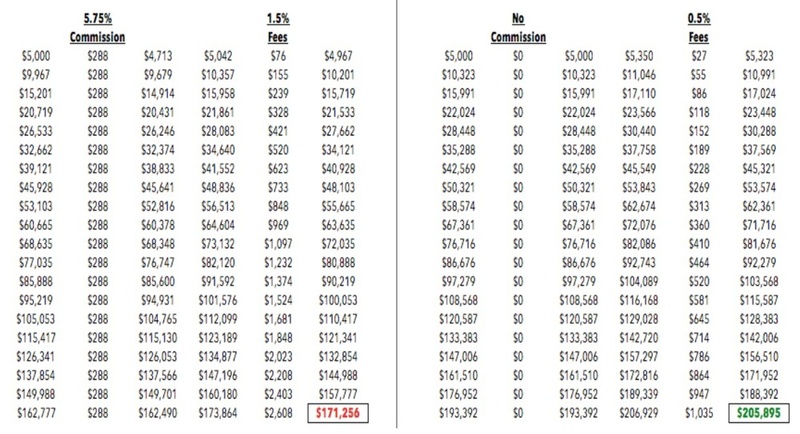 These fees can work to dramatically reduce gains when the market is performing well, and compound losses when it is not. Clients who work with @financial Investments pay no commissions on the purchase or sale of securities, and enjoy some of the lowest management fees available anywhere in the market. Above is an example of how working with @financial Investments can provide you with more growth with identical market returns over a 20 year period - simply because of our lower fees.